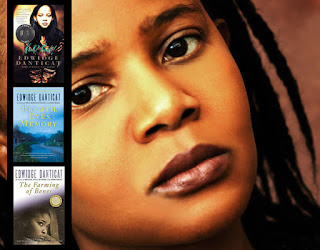 The Haitian Blogger: What's the "oil" in Haiti? 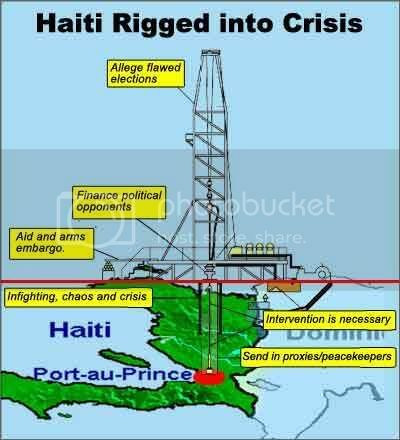 What's the "oil" in Haiti? "It's not as if there's oil in Haiti", they say. People often scratch their heads in puzzlement when confronted with facts about US interference in Haiti. Was there oil in Vietnam? The Americans were there for ideological reasons also. Why the incredulity when it comes to the exercising of white privileged, influence, money and muscle to scuttle democracy in Haiti? It is incredible that a country with more poverty, more illiteracy and less resources than Vietnam should be a target of American intrigue and aggression. But when did that ever stop the US? 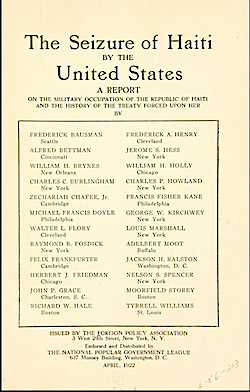 In fact making sure that Iraq was disarmed and helpless was paramount to the US in preparation to attacking and occupying Iraq. Many Americans understand the lows that their government have attained in sanctioning torture, illegal detainment and war crimes. Yet they refuse to contemplate that there could possibly be a reason for the US to remove a democratically elected government in Haiti, once in 1991 and again in 2004 on Haiti's 200th anniversary of being the first successful slave rebellion in world history. 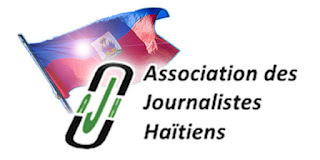 Considering the headlines in papers like the New York Times that questioned whether Haiti's independence merited a celebration, its easy to see why Haitians are regarded with such contempt and disrespect. What of Haiti's great feat in not only defeating the French to gain their freedom, but along the way, the English and the Spanish. All a fluke, postulate the pundits. A freakish turn of luck because of disease and bad planning by their opponents. Such harsh criticism is all too familiar to Haitians. After all, the colonial slave masters then and their privileged white descendants and brainwashed citizenry now, reasonably detest these Black freedom fighters for heralding in the dawn of a new day in this hemisphere that reverberated around the world. The end of slavery. In fact during the first occupation of Haiti by the US from 1915 to 1934 the statue of the escaped slave (negre marron) on this page was vandalized by the Americans, who removed the knife from the statue's hands. Well, as Ralph Waldo Emerson said, "A foolish consistency is the hobgoblin of little minds". 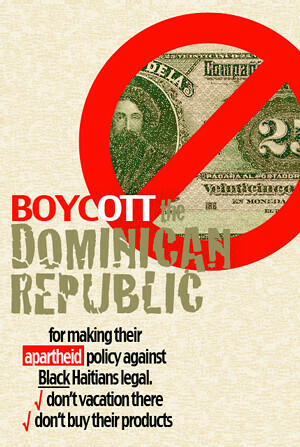 The current face of neo-colonial in Haiti is the US hand-picked government of Rene Preval.